Sioux Erosion Control has more than 20 years of experience in the erosion control industry providing innovative solutions for all projects. 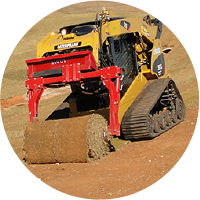 Sioux Erosion Control, professionals in erosion control, was established in 1993 and is located in Weatherford, Oklahoma. We offer a wide array of products and services, so regardless the type or size of your project, we will arrive with the proper manpower and equipment to handle the job safely and efficiently. Sioux Erosion Control is a unique and innovative, all-in-one service provider for your sodding and erosion control needs. We specialize in all steps of the sodding process while maintaining a safe and eco-friendly approach. 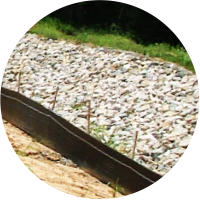 Sioux Erosion Control offers complete erosion control services from start to finish. We own and operate all our own equipment, so we can get the job done ─ safely and on time, every time. The first part of the process is to create a workable perimeter for the site. Silt fences and dikes retain sediment as we progress in the project. Preparing the ground for sodding is one of the most important steps in the process. We use our equipment to till, mulch and prepare the site for sod. 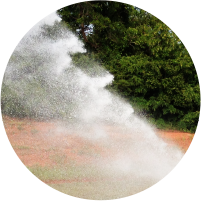 We offer both hydroseeding and sodding services that are solutions for erosion control needs. We can help you identify the best solution. After sodding, we will water, mow, and maintain the new sod for several weeks prior to completing the job and turning the area back over to the owner. 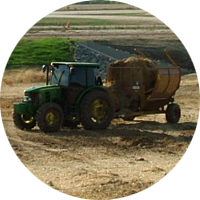 Sioux Erosion Control has successfully completed numerous projects in Texas and Oklahoma. We offer wide array of erosion control products and services. Regardless of type or size of your project, we will handle the job safely and efficiently.